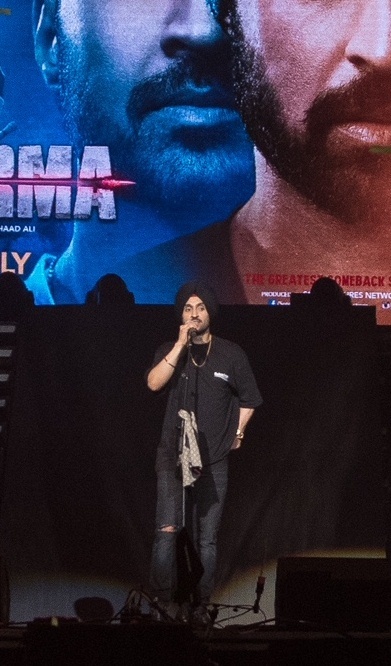 Diljit Dosanjh who will be next seen in Soorma a Biopic made on the legend Sandeep Singh unveiled the new poster of the movie at his UK concert. The actor has left no stone unturned in portraying India’s ex-captain and hockey ace, Sandeep Singh, in the upcoming biopic ‘Soorma’. 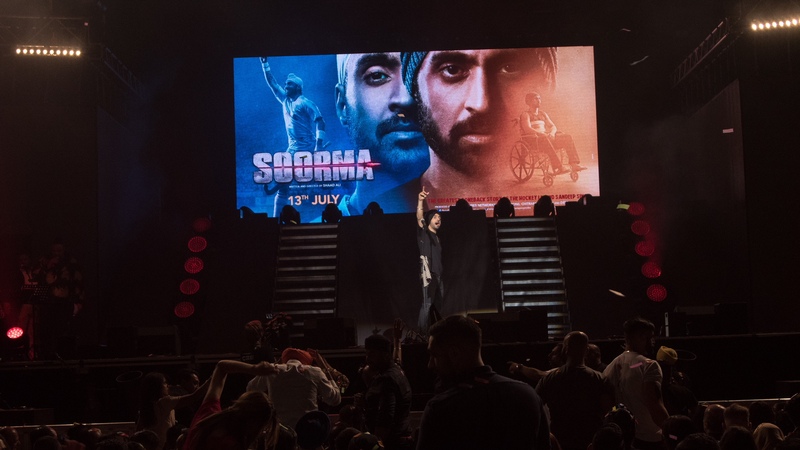 He unveiled the poster at a sold-out show at Birmingham Arena with which he became the first Indian to sell so many tickets for the venue. Diljit is an international icon and has undergone intense physical training and diet changes to prep for the role and for this, he was trained by the legend Sandeep Singh himself. The poster shows two different sides from Sandeep’s life, the time he was on the wheelchair and his picture form the hockey ground.